When packing snacks for your kids you tend to pack different kinds of snacks every day right from vegetables, fruits, nuts, biscuits, and even soup or juice. Hence you make sure that you get a food storage box that is 100% leakproof that won’t spill or leak any food. 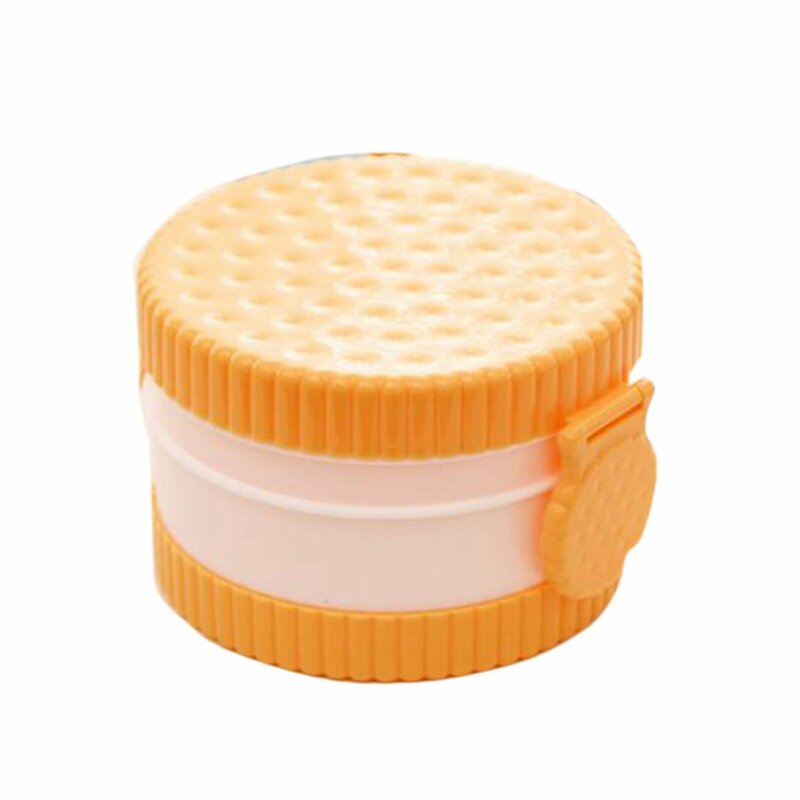 The orange cookie lunch box is designed looking similar to a cookie and its clever design makes the kid hungry seeing the cookie design lunch box. It is just the kind of push they needed that allows them to complete all the food items kept inside the lunch box. The lid of the lunch box exactly resembles an orange cookie and if you see it for the first time that you’ll instantly think it to be a cookie. Along with the lid, the latch on the side is also designed like a cookie. 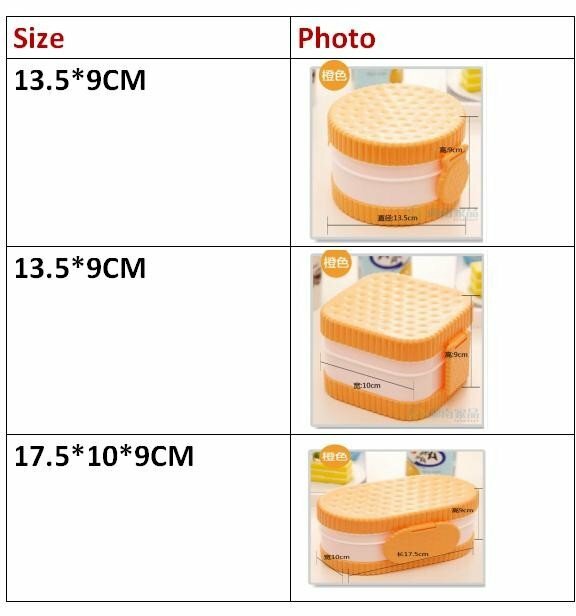 The orange cookie lunch box comes in 3 different sizes including 13.5×9 cm (round), 13.5×9 cm (square) and 17.5x 10.9 cm (oval). The cookie food storage boxes that come with a lid that can easily be opened/closed by lifting the latch on the sides. The lunch storage boxes are completely dishwasher safe and hence you can clean these lunch boxes easily. These lunch boxes are made using high-quality food-grade plastic and since it is microwaveable, you can easily put the lunch boxes directly inside the oven without needing to shift the contents into a container that is microwave compatible. You can also use these lunch boxes to store food inside your refrigerators as well. These lunch boxes are made using eco-friendly materials.